In my previous post on fertility I spoke about the myth of the fertility diet but there are a few foods that have certain baby making nutrients in abundance! I am also going to give you some simple ways to incorporate them into your diet. Salmon – try organically farmed salmon if you are worried about mercury levels. This is now reasonably priced and available in most supermarkets. Salmon is top of my list as it contains Omega 3’s which is instrumental in hormone regulation and works in conjunction with Vitamin D, which also needs calcium to become active. Selenium is found in fish to reduce mercury and salmon is high in Selenium (also good for sperm health). Top Tip: This might sound kind of funky but try salmon scotch eggs – boil 2 eggs for 6 minutes, while they are cooking whizz 2 salmon steaks with lemon zest and dill, wrap the salmon mix around the cooked peeled egg and then flour, egg and breadcrumbs and then fry in hot oil. Tasty! Eggs – these are up there amongst my super foods, and have protein, choline and essential fats. Choline can benefit foetal development particularly brain function. Kale – Folate is what I want to talk about here, which is actually found in all green veggies and eggs. Folate is actually a group of vitamins called the B9’s and are very important in conception and fertility. You will be advised to supplement your diet, which is good advice but it is always good to get the natural form. Kale also has Iron and Vitamins C as well as tons of fibre. Top tip: Try my raw kale and avocado salad, a great salad that will keep in fridge for up to 3 days! Nuts – particularly Brazil nuts (selenium), Walnuts (arginine) and Almonds (vitamin E) are great, particularly for sperm health. They are also a great source of Omega 3’s albeit less efficiently converted than from oily fish. Beans and pulses – the Harvard nurses study showed that plant protein positively correlated to fertility, so including some chick peas and lentils in your diet could be beneficial. Full fat organic dairy – we are so used to being told to have low fat diary produce but we are not told is that all the great fat soluble nutrients are taken away and replaced with sugar to create that dairy ‘mouth feel’. I always recommend eating full fat in moderation, if tolerated. Top tip: Try full fat organic probiotic yoghurt with home-made granola and berries for breakfast. Avocado – Oh man, I love avocado’s and I expect you remember the days when diet guru’s said they were fattening and off the menu – full of fibre and vitamin E you can enjoy them every day. Top tip: Slice a ripe avocado on toasted rye with cherry tomatoes and crumbled goats feta cheese for a great breakfast or lunch. 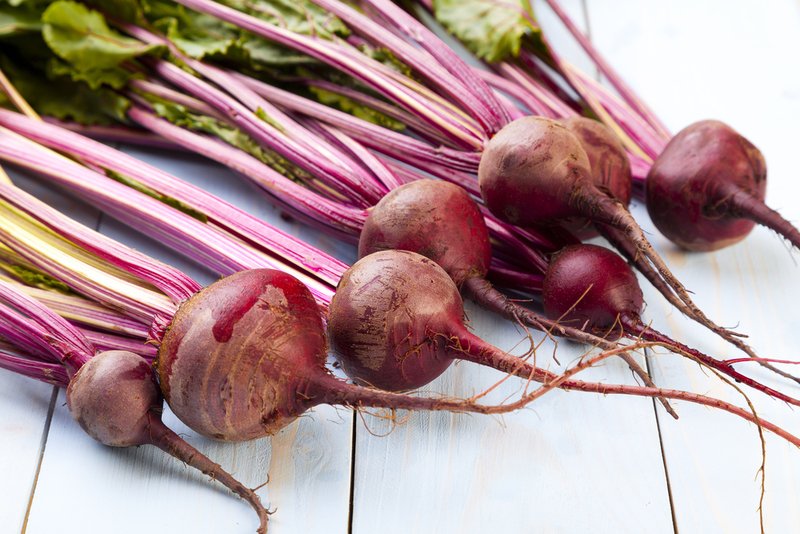 Beetroots – have betaine which is great aid for digestion and are rich in nitrates. They are a fantastic source of the antioxidant resveratrol, known for combatting age-related infertility. Top tip: Try my raw beetroot salad with some fresh grilled mackerel and home-made horseradish sauce for a delicious supper! Bananas – bananas sometimes get a sore rap but they are high in fibre, which slows down the sugar spike. They are also high in vitamin B6 particularly important for balancing hormones, and Tryptophan the precursor to serotonin (the feel good neuro transmitter). Butternut Squash – these are packed full of beta carotene which is an antioxidant essential for removing nasties in the body, repairing cell damage and growing a healthy baby. Top tip: Roast in a hot oven with some olive oil and seasoning, toss with quinoa for a great composite salad.